The other day I made some easy crocheted coasters. As it turns out, they were a hot item. Mr. Ink’s brother wanted a set, so I asked him to trust me on yarn choices, and whipped him up a set of 8 coasters. I am not sure what the yarn was, but it was something that had long color changes, and it looked to be a single ply about sport weight. These turned out nice, I like how they aren’t all matching, but coordinate beautifully. 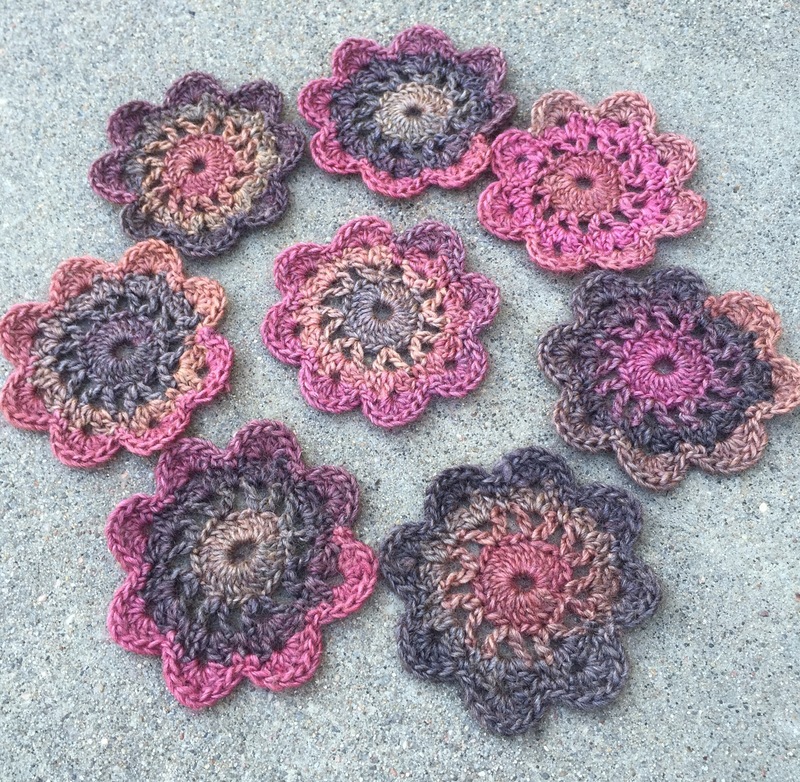 We all know I am not much of a crocheter, but I will admit that I’ve been seeing a number of crochet projects around the blogosphere that have appealed to me, so brushing up on my skills with a simple project is absolutely in order.